Hey Californians! If you are in the hospitality industry and serve alcohol during your job (whether you’re a bartender, waitstaff, or you serve alcohol in some other capacity while on the job) you’re definitely going to want to know and understand California drinking laws to keep yourself out of trouble! Likewise, if you’re hoping to participate in drinking activities within California state (whether you’re from in or out of state), the below basic California alcohol laws will be helpful for you to know as well! How old do I need to be in California State to bartend? How old do I need to be in California State to serve alcohol as waitstaff? How old do I need to be in California State to conduct alcohol tastings? How old do I need to be in California State to enter a bar? How old do I need to be in California State to drink alcohol? How old do I need to be in California State to order or purchase alcohol? What is the legal BAC driving limit in California State? What are the legal hours for alcohol sales and service at bars and restaurants in California State? Do I need to take a course to sell or serve alcohol in California State? Not yet, but soon! 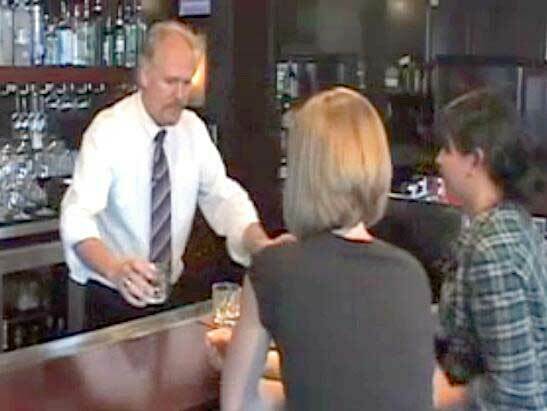 California State does not currently require that all bartenders and servers complete a Responsible Beverage Server Training (RBS) Course, but it is still highly recommended to complete a training in order to reduce the likelihood of having legal issues held against you or your establishment and to prevent your establishment from getting on the California ABC’s bad side and losing your license! Note: Come July 1st, 2021, it will be a requirement that everyone who serves alcohol in California State to complete a Responsible Beverage Server Training Course. The above California Alcohol Laws highlight a few of several liquor laws within California State. Understanding these Drinking Laws will provide you with a great foundation, but if you’re hoping to become an even more knowledgeable and confident alcohol server, we welcome you to check out our Online CA Responsible Beverage Server Training Course whenever and wherever is most convenient for you. Once you complete the training, you'll receive an Alcohol Server Training certificate that you can show your employer. In fact, taking an RBS training course and receiving a certificate may even give you a leg up when applying for a job because employers appreciate when their staff have been trained in responsible alcohol service!